In a fast moving world, it is important to feel supported and guided to adapt and thrive. 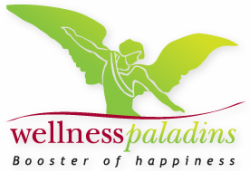 Wellness Paladins is a Belgium based guiding/coaching agency. ​It is there to help you during your journey, to help you cruise through the changes and thrive. It can help your business, your project and above all your life to blossom in the new economy (and feel like those guys on the picture below). We offer our clients a range of personalized options that includes private coaching, seminars, special events, self-improvement programmes and gift packages, all based around project & company agility or professional & personal development.